I have geese in my front yard. I dress them for each month of the year with outfits from Miles Kimball. I love my goose and she needed a Bunny suit ! I needed an Easter outfit > PLEASE NOTE!!!!!! IF YOU ARE GOING TO OFFER AN BUY ONE T FIT GET ONE AT 30%OFF MAKE IT CLEAR THAT ONLY APPLYS TO ONE SET.... AS YOU CAN SEE I ORDERED FOR ALL SEASONS BECAUSE I UNDERSTOOD IT WAS BY ONE GET 30% OFF THIS IS VERY MISLEADING AND I THINK YOU SHOULD MAKE GOOD ON WHAT IS ADVERTIZED!!!! I thought this bunny goose outfit was adorable. Gifts for my two aunts for Easter. The chocolate Easter bunny was a big draw for the holiday. Another easter outfit for her goose. My daughter saw the article in Atlantic magazine and requested it. The floppy ears are what got me!! so cute! 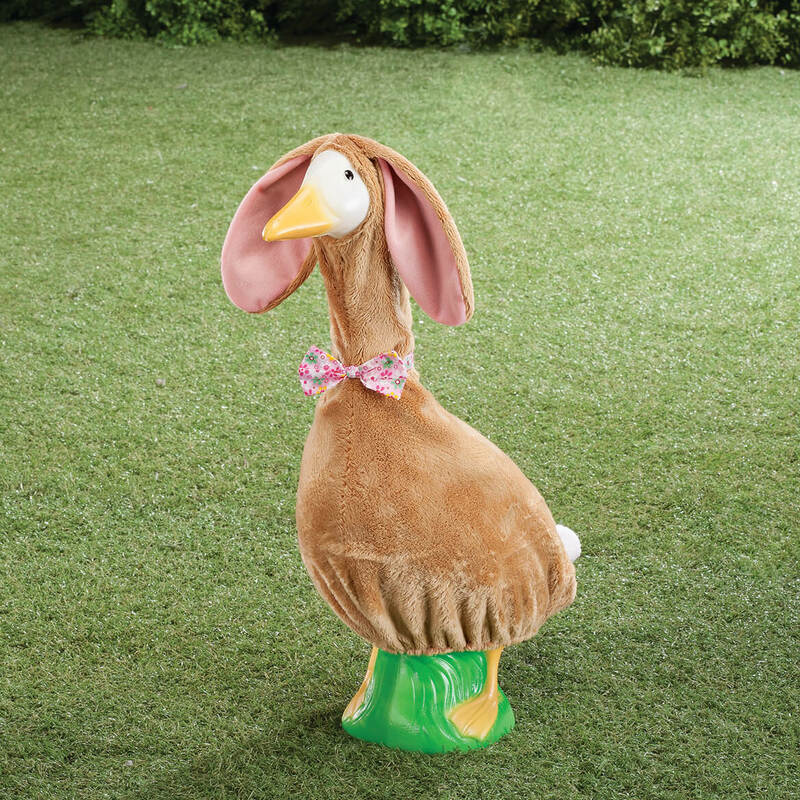 Adorable outfit for my goose, chosen for Easter Springtime! 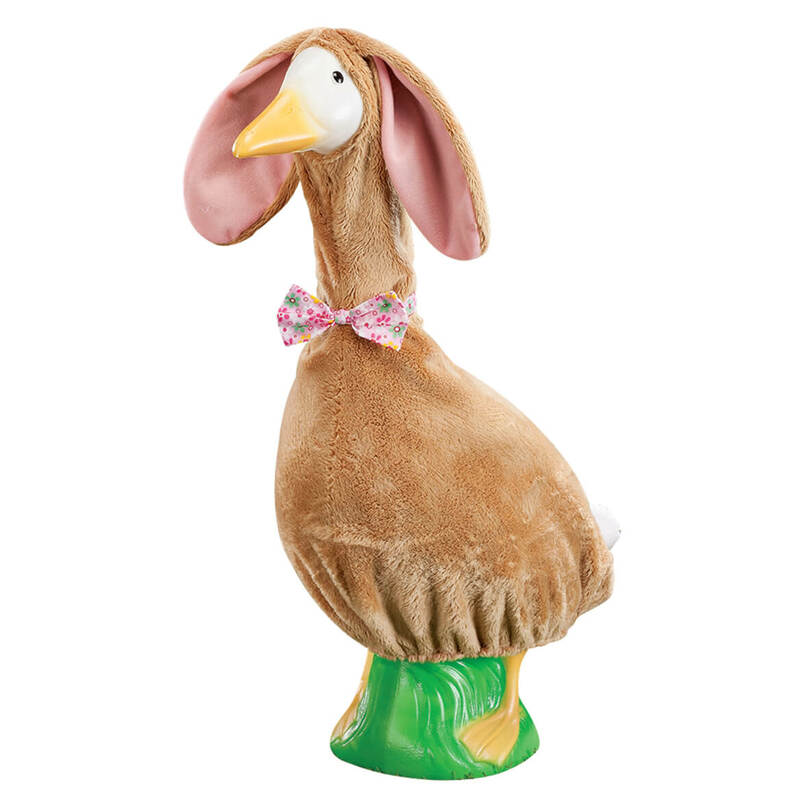 How do you get the bow tie over the goose’s head? BEST ANSWER: Thank you for your question. Remove the bow tie. Put the costume on. Then reattach the bow tie. We hope this information will be of help to you. Do you plan on getting the brown bunny goose outfit in stock again? BEST ANSWER: Thank you for your question. The Brown Bunny Goose Outfit is currently available and in stock. We hope this information will be of help to you. Your description of the brown bunny goose outfit is incorrect. 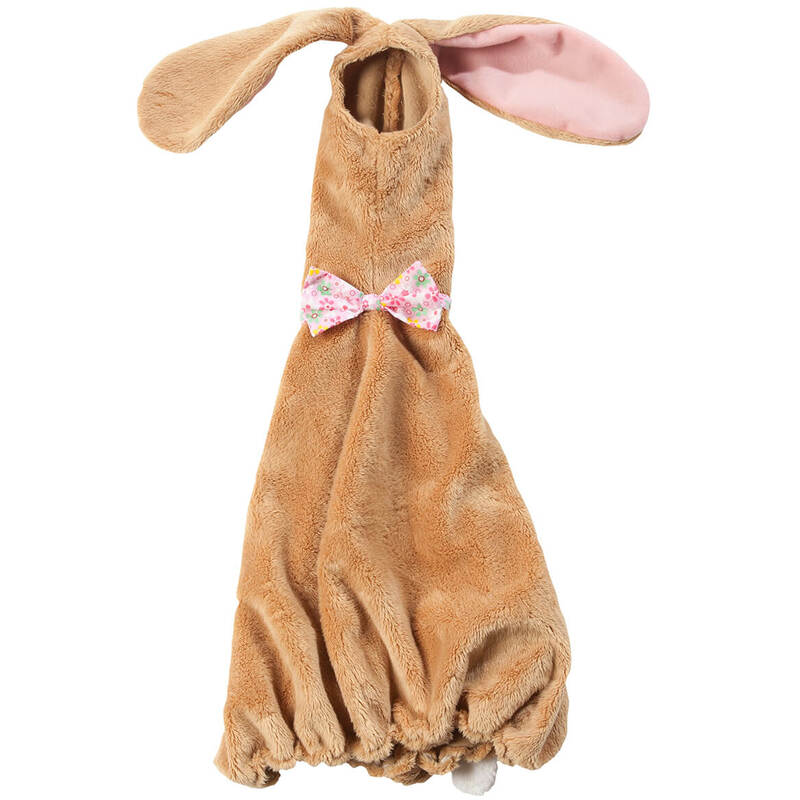 Is this brown bunny outfit for the small or large goose? BEST ANSWER: Thank you for your question. The brown bunny outfit will fit the large goose. We hope this information will be of help to you. Does this fit the large or small goose? Is the large goose 23" tall? BEST ANSWER: Thank you for your question. The outfit will fit the large 23" tall goose. We hope this information will be of help to you.